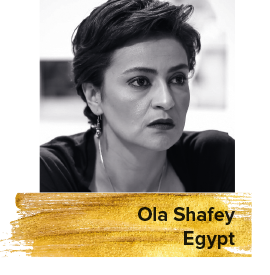 Ola Shafey is an Egyptian writer and journalist. She is in charge of the art section at the Youm 7 newspaper and deputy editor of Al-Ahram. Throughout her career, Shafey has published articles on cinema in several local and regional publications and media platforms.